Pick up you at Danang airport ,or at your hotel in Danang. The Car (1-3Pax) /Minibus (4-12 Pax) pick up you at Danang Airport ,continue to Cham Museum ,you visit there for ½ hour .you see the old statues of Champa civilization collected by The French Colony .After that ,the car or the minibus take you to Marble Mountain ,stop for 3 hours; here, You have good time to see the caves,pagodas,natural landscapes and swim in the beach with the nice sand nearby Marble Mountain .If you want to see My Khue Beach ,easy for you can do it when you are on the beach near Marble Mountain. Very Interesting ! You have a short time to visit many famous tourist places after your flight from Hanoi,from Ho Chi Minh…to Danang . Great ! 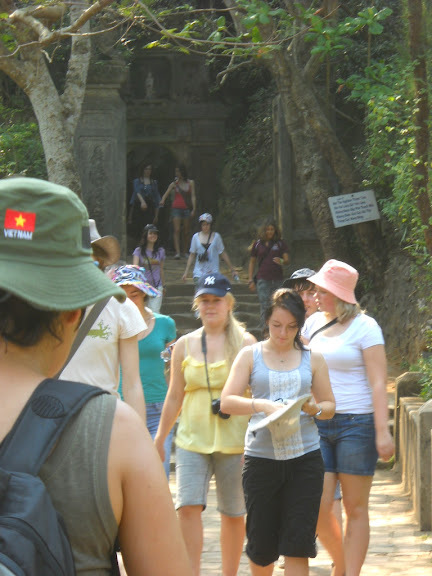 Do not hesitate to Contact Philong Tours for arranging your trip. Price: 40 $ USD/ 4-12 Pax By Minibus A/C. Including :Private Transportation(Car or Minibus),english-speaking driver.